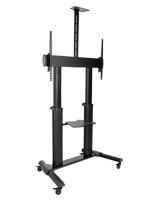 Fits Monitors 60” to 100", Up to 300 lbs. 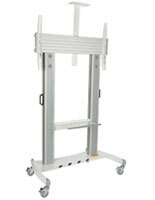 This movable TV cart is designed to hold flat-screen monitors 60"-100” that weigh less than 300 pounds. 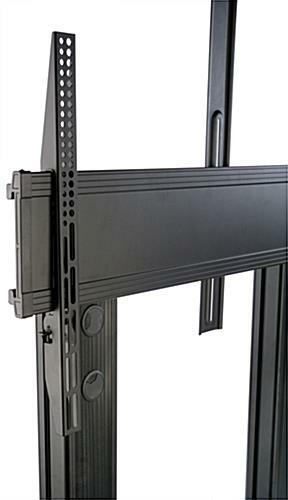 The VESA-compatible bracket is adjustable to accommodate different-sized screens and VESA mounting patterns including 80" widescreens. 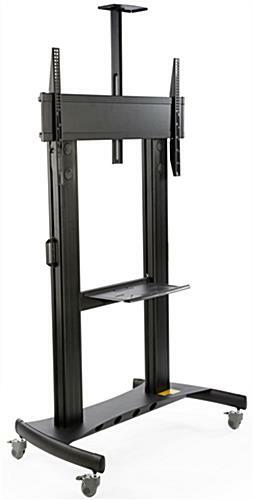 This black movable TV cart with wheels is easily repositioned as needed but has (4) locking casters for stability during use. 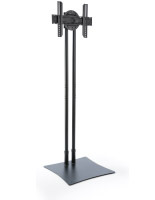 The floor standing fixture also includes an adjustable height camera shelf, which allows for video conferencing with ease. 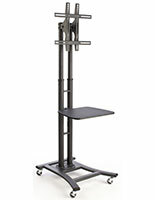 Shelving is also included for storing presentation equipment and accessories. 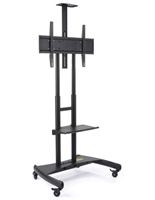 This heavy duty TV cart is incredibly easy to maneuver throughout a room and is therefore perfect for use in classroom or office settings. 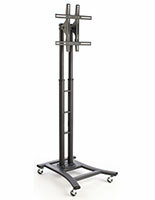 The versatile conference stand features sturdy steel and aluminum construction to withstand heavy use. 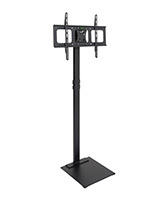 47.3" x 73.3" x 29.5"
Allows for our video conference television set to be moved easily across rooms and it provides an advantageous way to move the Tv set up and down. Construction is solid and allows for easy assembly. Thanks so much for sharing this with us, Sal! 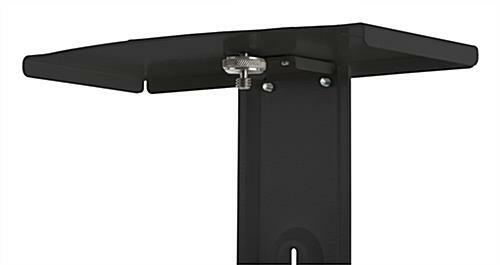 We're happy to hear that this TV stand was an ideal solution for taking video conferences to any room in the office. We hope you'll shop with us again soon! Works as intended. Solid construction and easy assembly. A very substantial TV stand. Easy assembly, with clear diagrams and labeled fasteners. 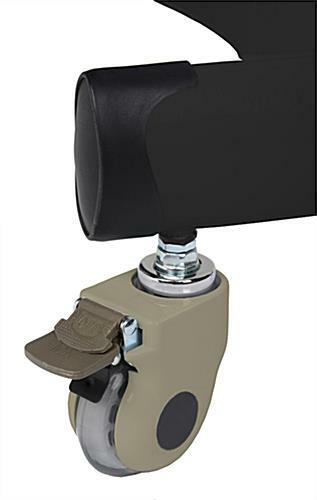 Easy to roll, and lock in place. Highly recommend this product. Thanks for the great review, Ronnie! We hope you shop with us again soon. The product arrived as scheduled. 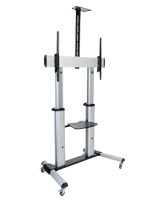 It was an easy assembly and very sturdy for our 70 inch screen in the conference room. We are very pleased with the product.